Give the princess in your life an engraved glass slipper. Perfect for a proposal gift or award for ballroom dancing, or for walking all over the men for that great promotion. 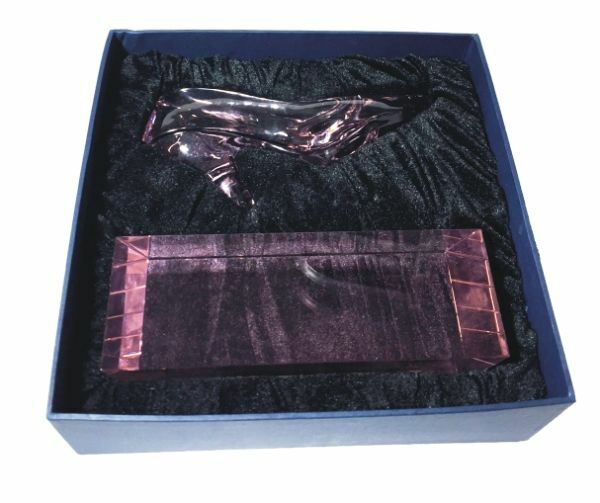 Engraved Crystal Slipper Size: 4 1/2"H x 7 1/4"W x 2 3/8"D Imprint Area: 1 1/4" x 4 3/4"